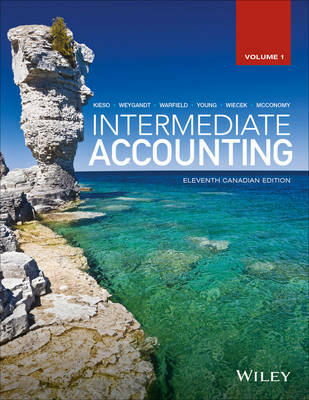 The Kieso, Weygandt, Warfield, Young, Wiecek, McConomy: Intermediate Accounting text has an outstanding reputation as "THE" text for intermediate accounting and is viewed as a reliable resource by accounting students, faculty, and professionals. After listening carefully to instructors and students alike, and after having built on what we have learned over ten successful editions and more than 30 years of being the market leader, we are confident that the eleventh edition will continue to meet the needs of instructors and students. With the merging of CMA/CA/CGA into the CPA, instructors want materials that link to the competencies that are outlined by the CPA. Kieso has done this and has adapted many questions to prepare students for the CPA designation. This, along with the integration of the International Accounting Standards and their comparison with Accounting Standards for Private Enterprises enhances the main goal of the book, to help students understand, prepare and use financial information by linking education with the 'real-world accounting environment". Our industry-experienced and leading-edge author expertise in the field of IFRS, combined with an update of the text's technical content ensures that accounting faculty and students can continue to rely on Intermediate Accounting.